A sequel to Edgar Allan Poe’s novel The Narrative of Arthur Gordon Pym, Jules Verne tells the story of another expedition to the Antarctic featuring some of the same characters that appeared in Poe’s original work. 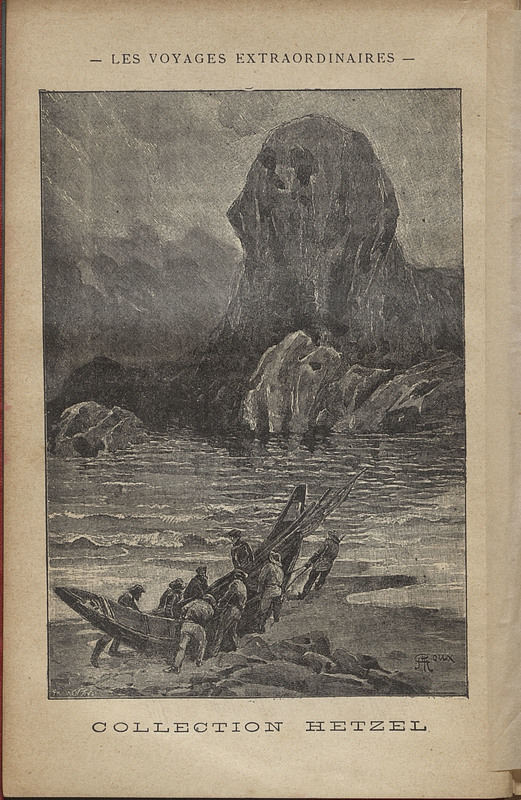 Set eleven years after Pym, Verne’s adventure story ends with the discovery of the Ice Sphinx, a large magnetic stone that had killed Poe’s original cast of characters including Arthur Gordon Pym. 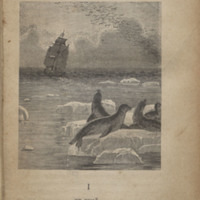 Modern readings of this work focus on how Verne adapted elements of Poe’s story to write a speculative fiction novel that capitalized on the scientific interests of the era, such as exploration of the Antarctic continent. 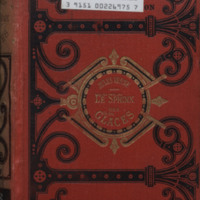 This is an example of Defoe’s work influencing later writers such as Poe and Verne. 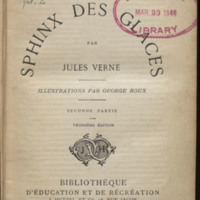 Le sphinx des glaces .... Paris: J. Hetzel et cie, [1897? ].